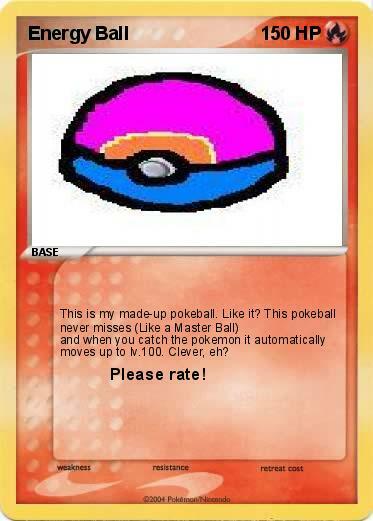 This is my made-up pokeball. Like it? This pokeball never misses (Like a Master Ball) and when you catch the pokemon it automatically moves up to lv.100. Clever, eh? Attack 2 : Please rate!